For the past year or so, I’ve been attending a local meeting of the Woodstock Business Conference. I was excited to meet Peter Lorenzi, professor of management at Loyola, not only because he was from Buffalo-but because like me, he was passionate about Social Entrepreneurship. Peter teaches a Social Entrepreneurship class to mostly graduating seniors at Loyola. A few months ago Peter asked me if I’d be interested in coming in to talk to his classes about my experiences. Of course I said yes! One of the big reasons I became a Social Entrepreneur was because of an entrepreneurship class I took at Loyola as part of my MBA program. Taught by Jeffrey Robinson, the entrepreneurship class was a practical class where teams wrote and pitched businesses plans. My team chose my idea to pursue-Dulces Vegan Bakery. It was a great, confidence building experience that helped me realize some important things: 1) Business can do a lot of good (social entrepreneurship) 2) I wanted to be in control of my own destiny 3) I had the drive and skills to become a business owner. Each of these realizations was somewhat shocking to me-shocking but also totally exciting! I headed over to Sellinger Hall on Tuesday morning to talk to the students about my path to Social Entrepreneurship. I know there are stories of entrepreneurs starting out in their bedrooms/garages when they were teenagers (or earlier). There are folks that say they never thought of doing anything else but owning their own business. That wasn’t me. Clearly. I came to Social Entrepreneurship slowly….unexpectedly. Lots of experiences in my first 35 years in life set me up for it when I look back-a childhood where service and commitment to your community was expected, becoming vegetarian, a Jesuit education which emphasized service for others, a stint in the JVC, years working and living in low income communities in San Francisco, an MBA from Loyola, a desire to make a difference and a desire to to my own thing. Funny how all of those things prepared me for LoCoFlo. The classes went well. A few students spoke with me after class. One student, who’s boyfriend owned a floral shop in NYC was excited to call him after the class to tell him about the talk and “make him stop using floral foam” (we’re converting people everywhere!). Another student was on the board of the environmental club on campus and was interested in having us come talk to their group. I hope the students took from my talk that anyone can become a social entrepreneur. You just need an idea you love and the drive to pursue it. But I was hoping to make bouquet wraps more of a statement this year. I have been searching around estate sales and flea markets for interesting lace or ribbon…Truthfully, I haven’t found much that caught my attention. A few weeks ago, one of our design assistants mentioned that she was cleaning out her grandmother’s house. She was trying to sell or give away a lot of what was there. I asked her if she had any lace or doilies- I mean any grandmom’s house should have some lace and doilies right? I almost cried today when I opened the bags Irene dropped off. Not only was the lace beautiful, but I was so touched that Irene would share it with us. This is what she told me about it. “my grandmother was a seamstress so i have a lot of cool fabrics & trims - not to mention some amazing dresses! The story is that when she was 14 she took her mother's lace table cloth and cut it up to make a dress. Big trouble! I can’t lie. I miss my gram every, single day. I am so excited that we are using Irene’s gram’s lace with our flowers. It’s a great reminder that “vintage” often times means…from someone we love. What is it about an awning that can create such strong feelings of excitement, pride and joy? I mean, it’s just a piece of canvas stretched over some metal bars. Right? I would have thought so too until I saw this awning yesterday. We’ve been working hard to get our studio set up, looking nice and ready for WORK! Each task accomplished has been exciting and has moved us closer to the goal. The awning, along with the exterior paint, made it feel really real. Most of the rest of the work had been inside-not visible to the world. Yesterday, it felt like we were putting down roots. It felt like we screaming with joy that LoCoFlo is finally home. 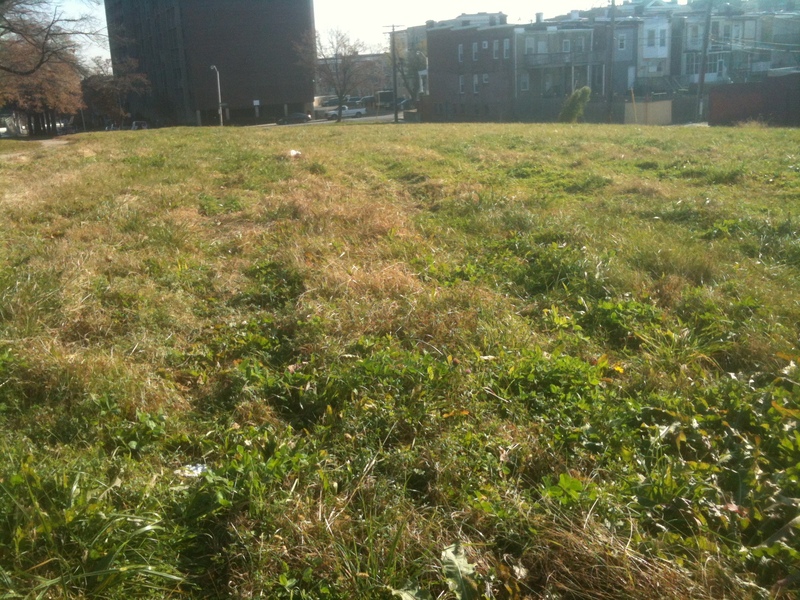 Urban farming is all the rage in Baltimore. From small pocket farms, to larger spaces with hoop houses and greenhouses, urban farms have found success in a proud city that values being a little… different….in a good way. For years, I had been hearing about Great Kids Farm, Real Food Farm and then Big City Farms. Their produce is delish and their goals and values seemed great. While I continued to hear great things about all of these farms, I kept wondering why no one had decided to grow flowers. I know that much of the urban farm movement is about food justice and food sustainability, (which is right on), but I had to believe that some aspiring urban farmer would break the mold and choose flowers. I’m excited to say, finally, it’s happening. Introducing Butterbee Farm! I first met Laura Beth, owner of Butterbee Farm when we met a few months ago to discuss flowers for her sister’s upcoming wedding. As soon as we sat down, we started talking about farming and flower farming. Laura Beth had been a rural produce farmer, but was interested in finding space to farm in the city. Her excitement about flowers was evident as we talked. We discussed existing models, markets and more. Last week, Laura Beth found out that her application to lease farm land in Reservoir Hill was approved…and Butterbee Farm was born. This year the farm will be planted with cover crops while Laura Beth grows on some space at Whitelock Community Farm. Next year, Butterbee Farm will start it’s first full year of production on it’s own land. I’m beyond excited about this new endeavor. I’m thrilled that Local Color Flowers will have an uber local farm to buy flowers from (they will be less than 3 miles from us!). I’m also really inspired to see a determined young woman go out on a limb to try something that she’s passionate about. If you’re interested in buying flowers from Butterbee Farm this year, they’ll be available as part of the Whitelock Farm CSA or at the Whitelock Community Farm farm stand. We’ll also be buying as much as we can to support Butterbee Farm! Stay tuned folks! I’m sure we’ll be seeing much more from Butterbee Farm in the future! Composting is so cool! You basically take trash and turn it into a nutrient rich soil amendment. Composting keeps organic waste out of trash bags and landfills will enriching the soil with nutrients that will improve the health of your plants. While many people (and some businesses like Local Color Flowers) compost, many others don’t because they don’t know how and/or they don’t have space. Real Food Farm has the answer! Real Food Farm, located in Clifton Park in Baltimore City wants your compost. They’ve created a pretty cool compost station next to their hoop houses to accept the community’s compost. LoCoFlo drops flower scraps/and flower waste off there whenever we run out of room at home. It’s easy, quick and it helps out a growing urban farm. Here is list of the do’s and don’ts of dropping off compost. If you stop over at Real Food Farm’s composting station let us know! we’d love to hear about it!